It's been a long road to level 200. The next lux shop awaits for you to figure out: "Should you Buy?" 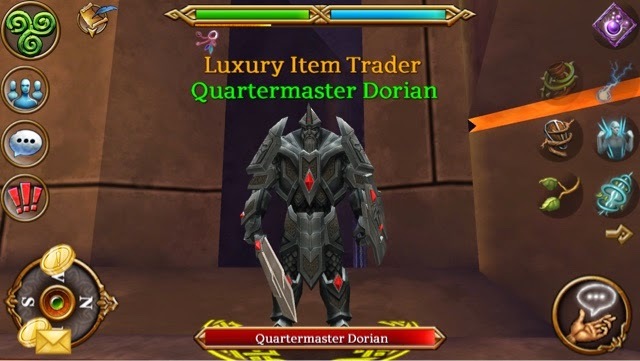 Read this post and I'll tell you all about the Quartermaster Dorian level 200 luxury shop. I'll be diving into the items, looking at the stats, and letting you know if you should bother picking up these items. The list of gear is so long, I'm putting it at the bottom of the post, so scroll down if you want to see the full list with item stats. Weapons - Should you buy? Yes! Warriors & Rogues - Hexforged Axe of Might - magic dmg works well in the tower. Rings - Yes for Melee. If you need a speed ring, pick up the Runic Ring of Virtue. It has 30% speed plus 50 dmg and 400 attack. it's worth getting because it is like a Reaper Ring lite. Druids and Mages can stick with their Mordris and Necro rings because they need the skill points, and also the bonus of Fire / Ice / Nature that they get from Necro rings. Bracelets and Helms - No! But for all classes, you should stick with Mordris, Hrungnir, or Gelebron bracelets. For helms, use your EDL or Hrungnir helms when appropriate. for EG and EDL bosses your EDL helm will be your best bet for the set bonus. Yes. There are definitely some items that you need to pick up here. Save up your money because this one is going to be expensive! At one point I had a ranger alt that had to buy a quiver and 4 runic rings. You're going to need this stuff as you start going to the top florr of the tower, and onward to Gelebron!